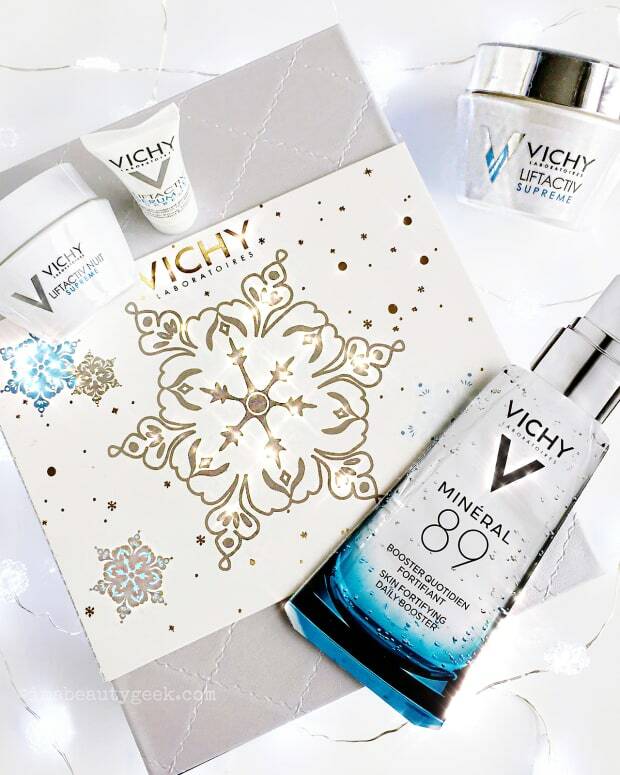 Vichy has launched its complexion-makeup range in Canada, and we're giving away a full set of liquid, cream and powders to a Beautygeeks reader! 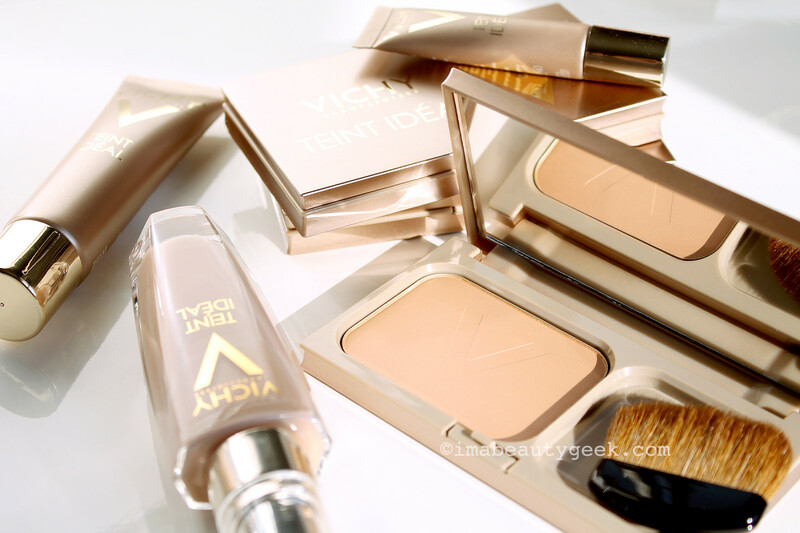 In partnership with Vichy Canada • It was Vichy Teint Ideal makeup. That&apos;s what made my skin glow in the Instagram snap below, and I applied it in front of a camera as Vichy Canada filmed it. Actually, I did that twice, for two looks, both of which are embedded later on in this post. Before we get to those, though, click this CA link to snag a Vichy Teint Ideal makeup sample. Then come back so we can talk about the new line! First launched in Europe a couple of years ago, the Vichy Teint Ideal makeup range spins on the concept that foundation should be the last step of your skincare routine. Not a new idea, but given that Vichy is all about skincare, it&apos;s a key element in the identity of the collection. 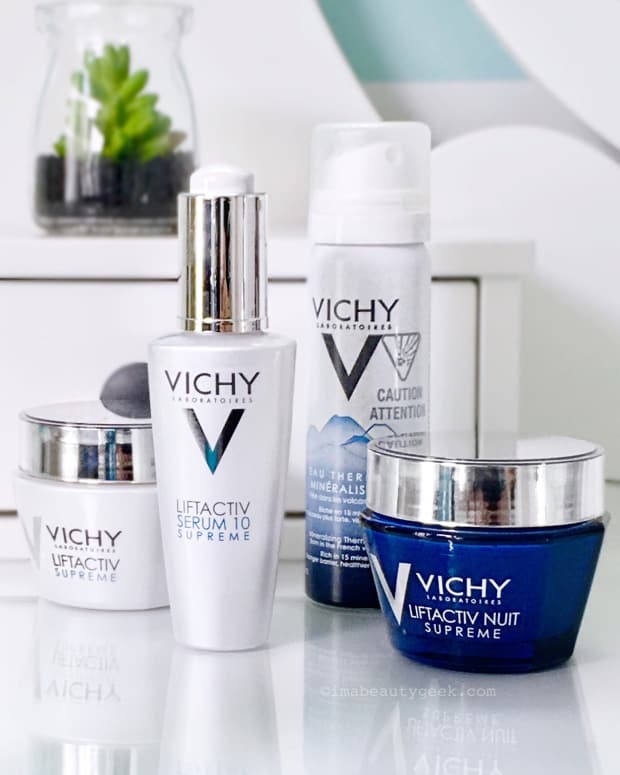 To that end, Vichy has infused their mineral-pigment formulas with vitamin C, vitamin E, hyaluronic acid and Vichy Mineralizing Thermal Water, and focussed on giving the complexion an immediate healthy glow. Tested on 500 women around the world, the line is hypoallergenic, non-comedogenic and approved for all skin types including sensitive. Something Vichy calls "Liquid Light Technology" adds a lovely natural-looking radiance to the skin. And if you prefer paraben-free makeup, it qualifies. The Vichy Teint Ideal collection consists of liquid, cream and powder foundation, fluid concealer, fluid highlighter and powder bronzer. The fluid and cream shade range is small, just five, and gets warmer as shades get deeper. I thought I&apos;d be 25, but definitely not – way too dark for me; I&apos;m 15 Ivory, it turns out. 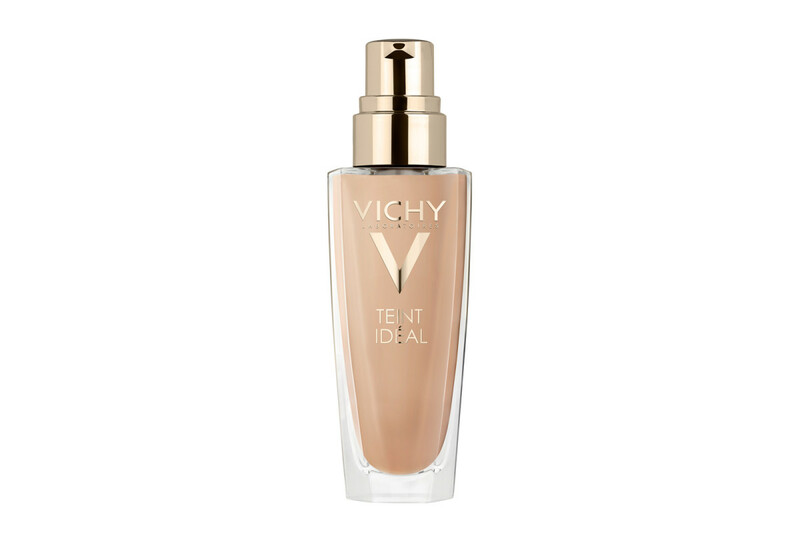 The Vichy Teint Ideal Illuminating Fluid Foundation ($38 CAD) boasts light-to-medium coverage and 14-hour wear. Designed for normal to combination skin, it contains vitamin C and E and Vichy Mineralizing Thermal Water. Before using, give it a shake to distribute the delicate light-reflecting pigment more evenly in the formula. Applied with a damp beauty-blender type sponge, it provides a sheer veil of glowing coverage that looks really natural. 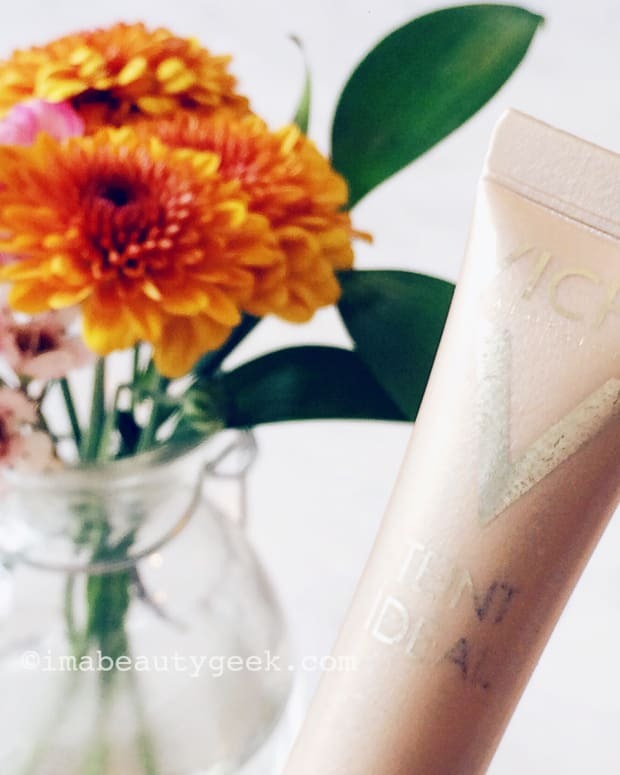 The Vichy Teint Ideal Illuminating Cream Foundation ($38 CAD) is designed for dry skin, promises the same 14-hour wear as the fluid, and also contains Vitamin C and E and Vichy Mineralizing Thermal Water. It offers light-to-medium coverage too. Although it&apos;s formulated for dry skin, I really liked the comfortable texture on my dehydrated combination complexion. As for the coverage, maybe because I applied with my fingertips I found I got enough that I didn&apos;t need concealer. (I used it in the Look 1 video.) Thus it&apos;s a great choice for me when I&apos;m in a hurry and want fast coverage with a hit of overall radiance. 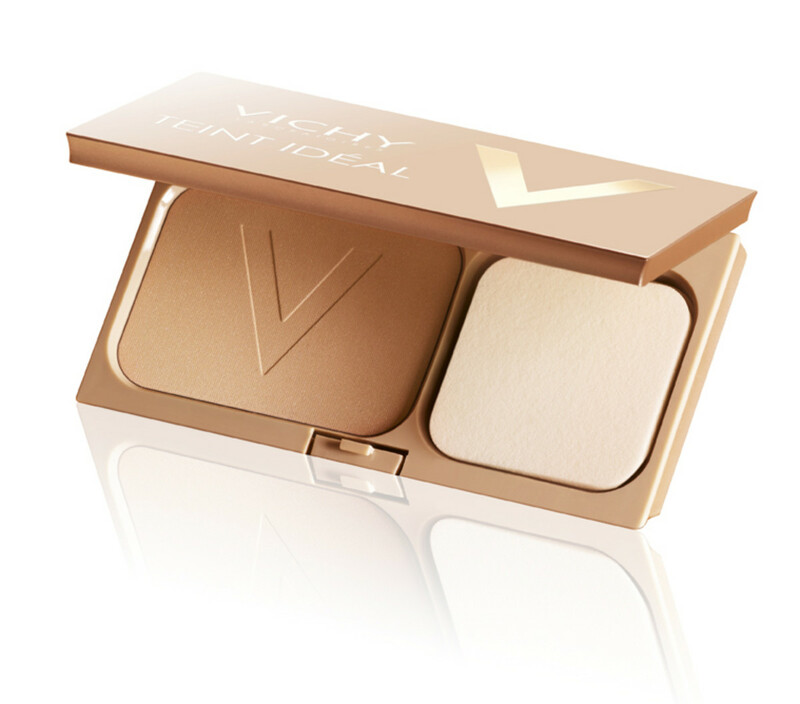 If you like powder foundation, Vichy Teint Ideal Illuminating Powder Foundation ($36 CAD) is worth trying. Mother of pearl boosts glow immediately, pearlite helps control shine. Silky and smooth, it offers 14-hour wear and a slightly-more-than-medium coverage with a velvety texture and believable radiance. (It&apos;s a bit like MAC Mineralize Skinfinish, actually.) Rather than use the sponge, I use a fluffy brush for a lighter, sheer application. 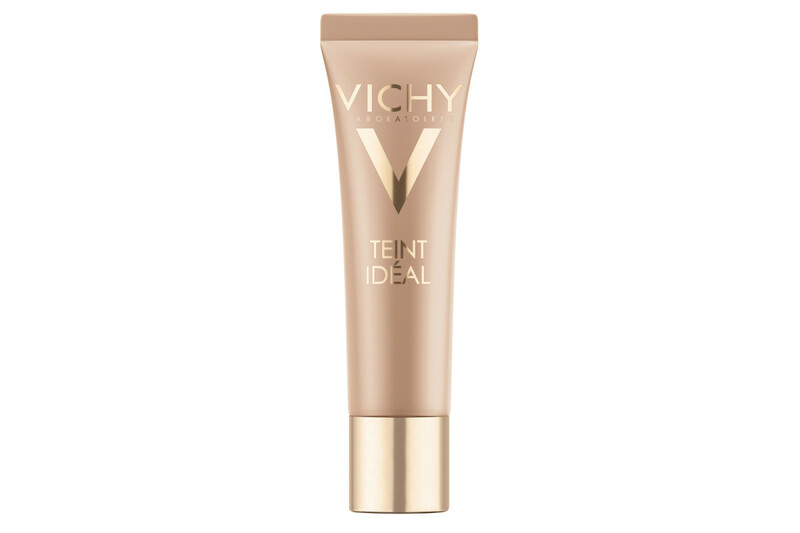 The Vichy Teint Ideal Illuminating Concealer Roll-On ($27 CAD) is a lightweight fluid consistency that promises brightening coverage that won&apos;t settle into fine lines. I quite like the natural, skin-like finish, as well as the travel-friendly little tube. But try not to squeeze too hard to dispense it – you&apos;ll end up with quite the messy roller-ball. Surprisingly, there is only this concealer, shade 1, in the collection. Within the context of the foundation colour range, it&apos;s a universal shade. 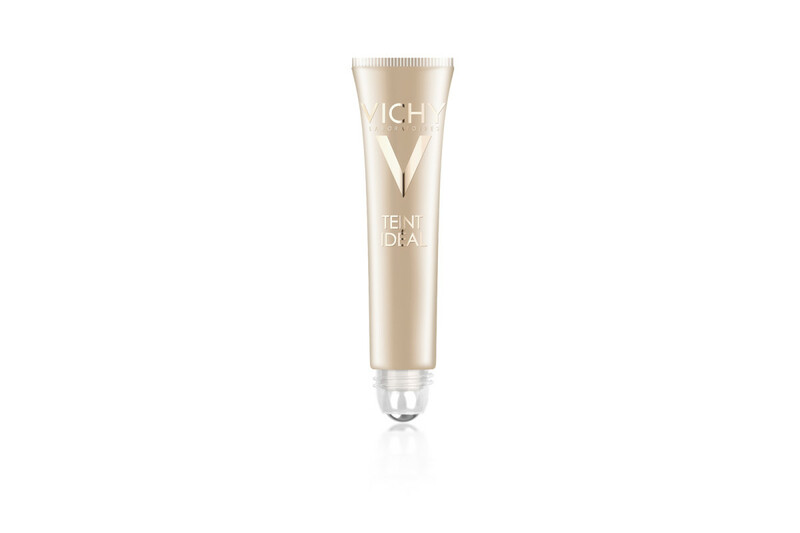 The Vichy Teint Ideal Illuminating Roll-On ($27 CAD) is one of the stars of this collection and a personal favourite. A sheer fluid, it has light, silky consistency that makes it easy to apply even over powder and tap-blend without compromising the foundation texture. On bare skin or over makeup, the result is a lovely soft gleam without sparkle. That it looks the same as the tube of concealer is a bit disconcerting; you&apos;ll have to check the shade number on the back – it&apos;s 0, as in zero. 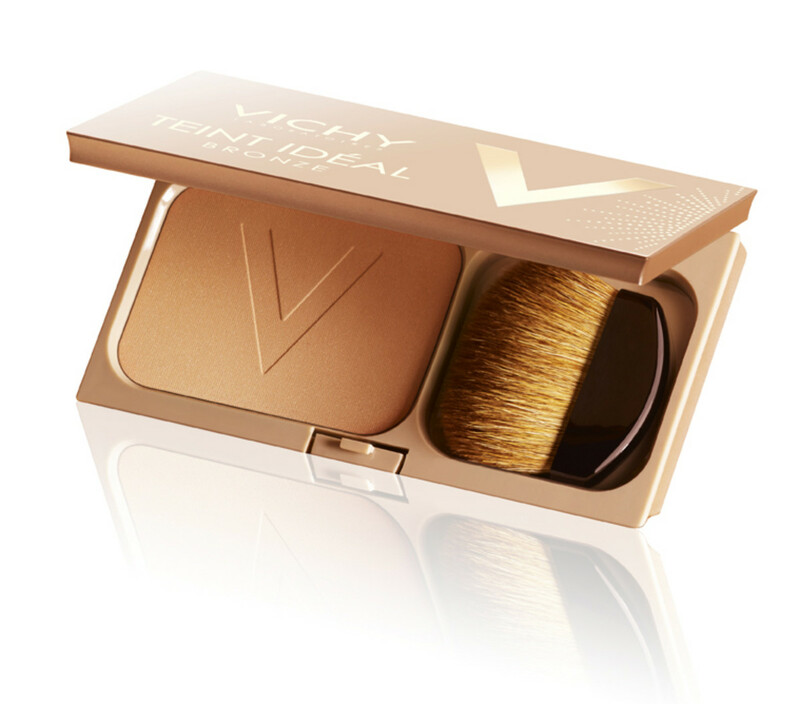 My other favourite in this line is the Vichy Teint Ideal Bronzer ($36 CAD) – it&apos;s a super-flattering sunkissed-glow shade with enough pigment to build intensity without going overboard. My compact lives in my makeup kit, along with the concealer and illuminator roll-ons. 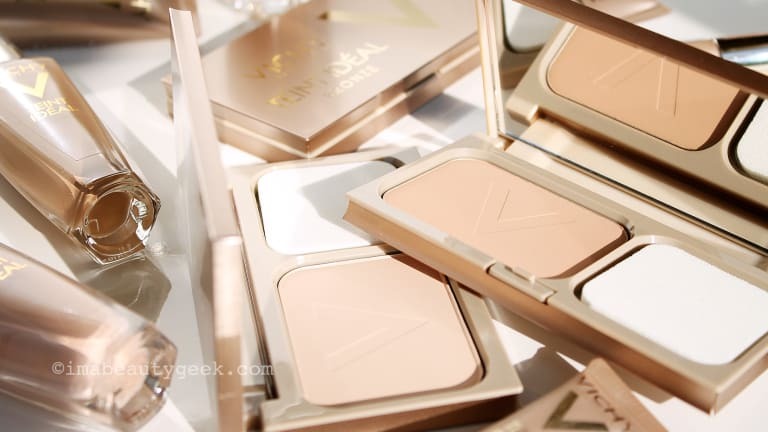 Like the rest of the makeup in this collection, the Vichy Teint Ideal Bronzer promises 14 hours of wear; like the powder foundation, it adds immediate radiance with mother of pearl. Like the concealer, it comes in only one shade. 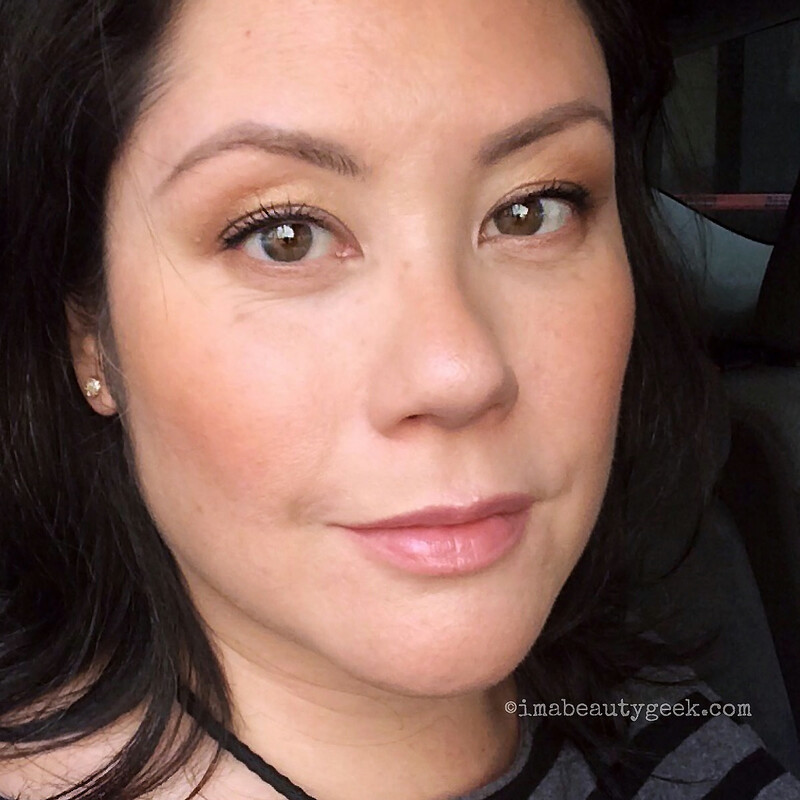 Vichy Canada asked me to demonstrate complexion looks for two short tutorial videos. The first of these is a fast, awake-face for those times when you have to get your kid to school or rush out to meet friends for breakfast. (It&apos;s very back-of-the-Uber friendly.) Vichy calls this a "Rapidly Refreshed" look; I also call this "Fake A Good Night&apos;s Sleep" face. The illuminating step requires a bit of explanation, I think. I like to highlight the tops of my cheekbones, upper bridge of the nose, inner corners of my eyes, and cupid&apos;s bow. I also highlight with three little dots over my brows – starting point, arch and tail – for a little extra lift. This time, though, the rollerball deposited just a bit too much for that, so I just continued the motion into a light stroke over each eyebrow. No big deal. I also dabbed a bit on my mobile lids – a little glimmer there is always nice. So I used the Vichy Teint Ideal Illuminating Powder Foundation in shade 3 Tan as my sculpting powder (obvi my foundation shade would be shade 1 Light) under cheekbones, along my hairline, under my jawline, along the sides of my nose, and on the outer third of my lids (a subtle knock-back of my hooded lids). I applied the Vichy Teint Ideal Bronze where the sun would hit my features if I let it: over the tops of my cheeks, the bridge of my nose, forehead and chin. I also dabbed a tiny bit on my brow bones – if I&apos;d really spent the day on a beach, I&apos;d have a little glow there too. Can you use the powder foundation as a mattifying layer over the fluid foundation? Absolutely – it&apos;ll increase the coverage as well, if that&apos;s something you&apos;re looking for. Just make sure you use a large fluffy brush if you want a lightweight application. UPDATE: The Beautygeeks Vichy Teint Ideal giveaway is now closed; thank you so much to everyone who entered! For a chance to win a complete set of Vichy Teint Ideal makeup in your shade, you&apos;ll need to be a resident of Canada (apologies to our US friends), and at least 18 years of age. You&apos;ll also need to know what shade you are, so when you get a chance, hit your local drugstore to check out the samples and do swatch tests. That&apos;s a prize worth $202 CAD. Enter as often as you like via the widget below until the end of Monday September 26th. And visit vichy.ca for more info on the collection. *The winner will be contacted via email once the giveaway has closed. Response is required within 48 hours, please, or a replacement winner will be chosen.